Wine can be such a personal journey, and I think there are wines and producers that become highly important landmarks for us. I remember coming back from my first tour of Vinitaly, completely obsessed with Abruzzo’s Edoardo Valentini, thanks to my favorite mentor in the wine business, Giampaolo Gravina. Giampaolo gave me my first taste of this magical Trebbiano- a wine that seems to age in reverse, becoming more floral, fresher and more vibrant as it refines in the bottle. Giampaolo, like most passionate wine people, rejoices in helping other people discover the world’s enological treasures. Seeing his face light up as I brought that first taste to my lips and felt the overwhelming minerality- the rush of perfect, velvet-textured acidity coat my mouth, is a moment I will never forget. I think one of the things I love most about Valentini’s legendary white wine, is that Trebbiano is often regarded with ambivalence as a vapid, uninteresting (at best), and generally inadequate wine grape. There are thousands of plain, boring, watery wines made with Trebbiano to prove this point. 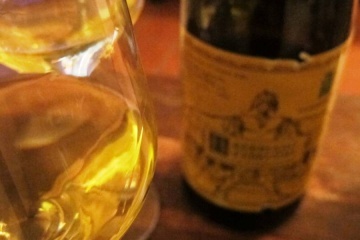 However it only takes one sniff of a glass of Valentini’s Trebbiano to know that this wine is an exception. A wild, expressive, trumpets-blaring, angels-singing kind of exception. 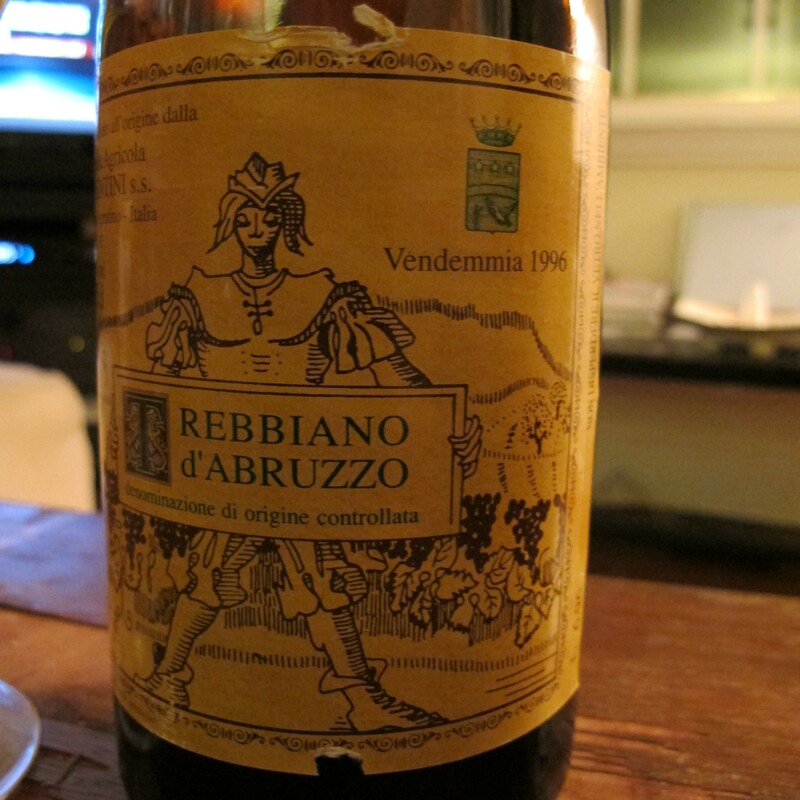 Thanks to some very special people in SeattleI was able to taste the 1996 Valentini Trebbiano in good company. The wine was golden-yellow, however the nose showed no traces of oxidation. It was fully of briny minerality- a funky, boggy, beautiful nose that reminded me of white burgundy. Honestly, even having tasted this wine several times I question whether or not I would know it blind. On the palate the wine just soars- citrus rind, gooseberry, wet rocks, and something green and mossy, something indescribably “of the forest”… words escape me. Edoardo always refused to show anyone the inside of his winery. What little we can piece together about the winemaking process leads us to believe he used no stainless steel or barrique- only glass-lined cement tanks for fermentation, and then large Slavonian oak botti for refinement and agening. Some say his botti were (at youngest!) over 70 years old. Edoardo was very open about one thing- he was adamant that his clone of Trebbiano d’Abruzzo was the original and maximum expression of the varietal. This is what he claimed made his wines so special- so singularly authentic. Valentini continues to release these elusive and ethereal wines today, production being led by Edoardo’s son, Francesco Valentini. Miraculously you can still find these little gems in the US if you look hard enough. I hear the Wine House in Los Angeles received a shipment recently, but I am sure these few bottles won’t last for long. When you encounter these landmarks in your wine experiences, cherish them. They are a gift- they define you, and they transform your palate and your sensitivities towards wine. You won’t forget them for the rest of your life. Wonderful descriptions! Fr sure, these wines are exceptional and worthy trying.